Time to get cards in the air for not one but two @WPT Rolling Thunder Events. 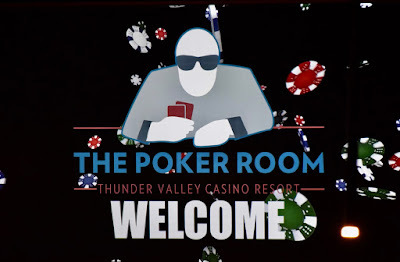 Day 1A of the $3,500 Main Event is just starting. Day 2 restart of Event 1 - the $1,100 with $100k guaranteed - is also starting up for its final 16 players. Here comes dual coverage for a few hours.